US Marine CorpsU.S. Marine with 24th Marine Expeditionary Unit posts security at Keflavik Air Base, Iceland, Oct. 17, 2018, during Exercise Trident Juncture 18. 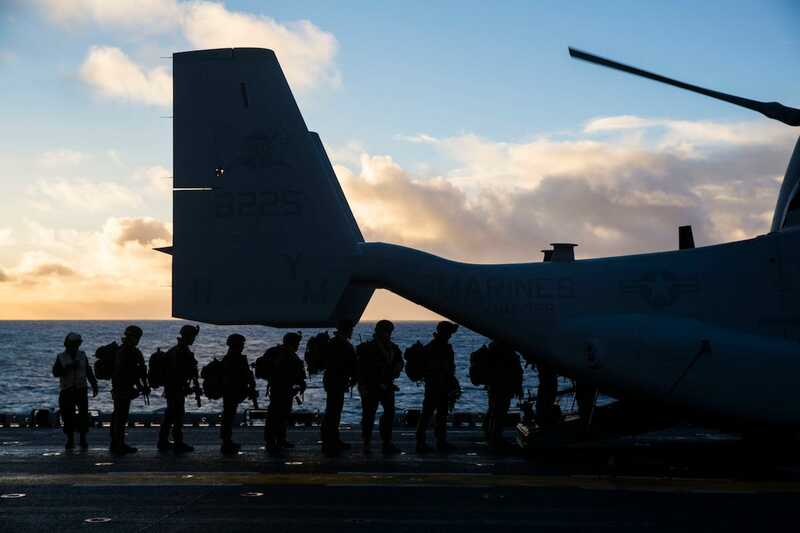 US Marine CorpsMarines load onto a CH-53E Sea Stallion aboard USS Iwo Jima (LHD 7) while conducting an air assault in Icelandic terrain on Oct. 17. 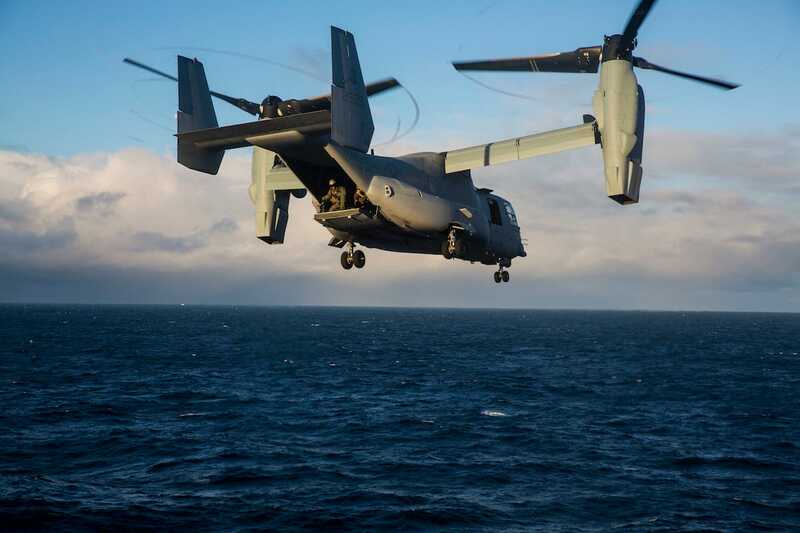 US Marine CorpsA V-22 Osprey departs from USS Iwo Jima for an air assault in Icelandic terrain on Oct. 17. 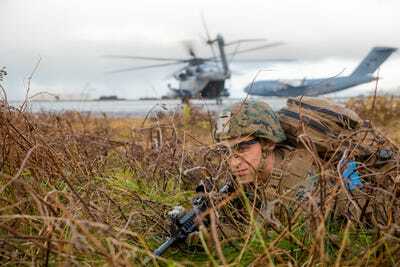 US Marine CorpsA US Marine posts security at Keflavik Air Base in Iceland on Oct. 17, 2018. 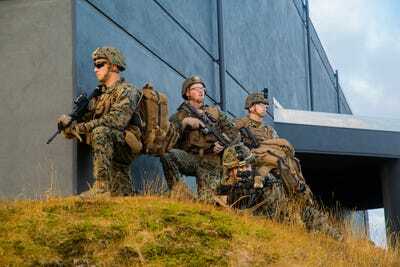 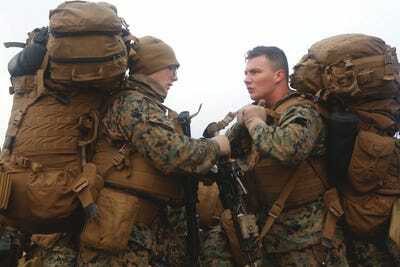 US Marine CorpsUS Marines post security at Keflavik Air Base in Iceland on Oct. 17, 2018. 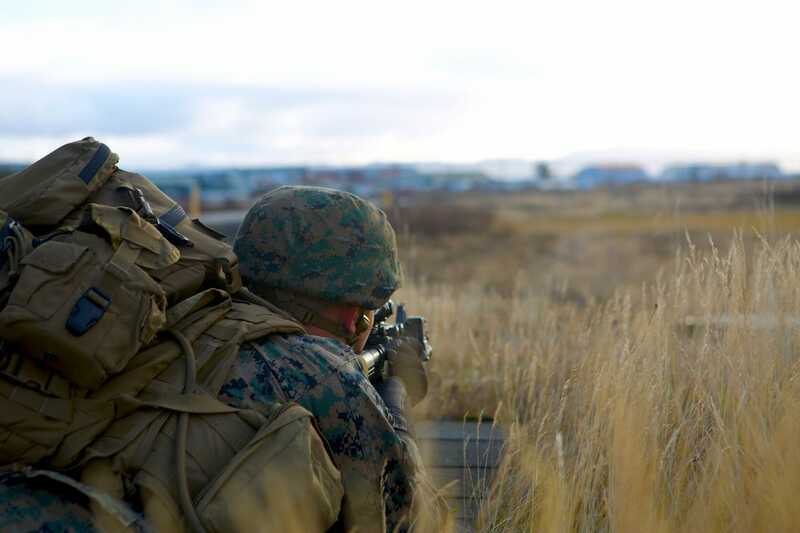 US Marine CorpsA US Marine aims his weapon while posting security during a mock air assault in Iceland. 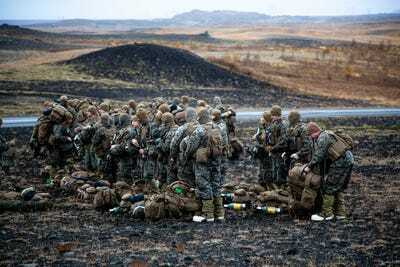 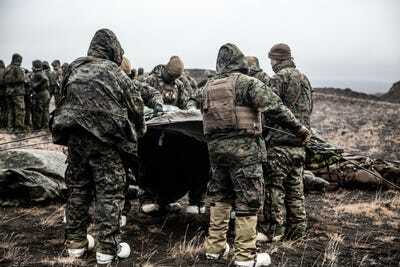 US Marine CorpsUS Marines hike to a cold-weather training site in Iceland on Oct. 19. 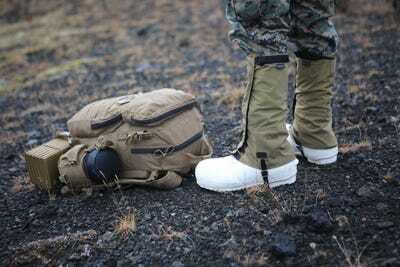 US Marine CorpsCold-weather insulated boots used by US Marines in Iceland on Oct. 19, 2018. 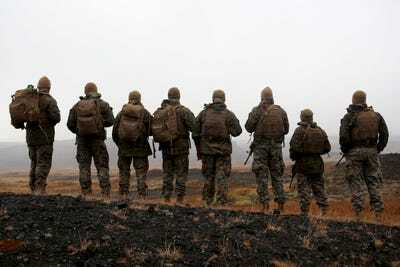 US Marine CorpsUS Marines overlook a training area from a hill in Iceland on Oct. 19, 2018. US Marine CorpsUS Marines set up camp during cold-weather training in Iceland in October 2018. 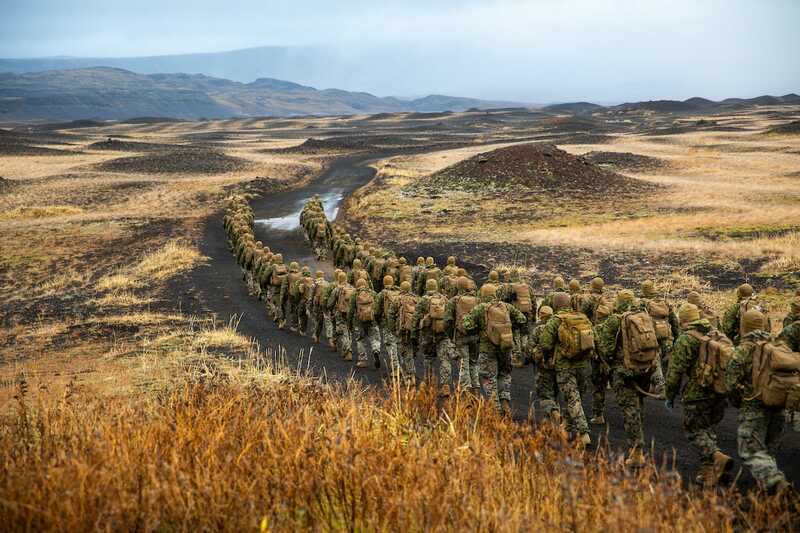 US Marine CorpsUS Marines set up tents in Iceland in October 2018.